Enjoying Ben & Jerry’s in the Prague train station. What food comes to mind when you think ‘American‘? Did your mind become flooded with images of hot dogs? Those balmy summer days when your little fingers wrapped around a soft bun dusted with cornmeal, a glob of mustard slowly oozing down your hand, as you attempted to eat the whole foot-long dog in four bites. Heck, why not try to make it in three. Or maybe you thought of a Thanksgiving turkey. After all, it is getting close to that time of year and who wouldn’t lament the November holiday without a big roasted bird filled with fluffy stuffing and doused in gravy? A celebration turkey in honor of the pilgrims’ survival seems quintessentially American. Perhaps you were reminded of a dish your grandma used to make every year on your birthday – that red velvet layer cake, a vision in white with its glistening whipped cream frosting. Without fail, Grandma made that cake for you every year when you came for your family birthday dinner. Maybe she re-used the candles from the year before, but the cake always tasted the same – it tasted like home. When you travel, there are always so many incredible foods to try. The beautiful thing about travel, is that even while the foods you see on a menu may be completely unfamiliar to you (maybe even unpronounceable), they aren’t strange for the person who’s making them. As a traveler, you receive the gift of tasting other peoples’ homes – the dishes that compose their traditions, the foods they think of when they close their eyes and picture the meals their mothers, fathers, grandmothers and grandfathers used to make every Sunday when the family gathered around the table for the weekly Sunday supper. 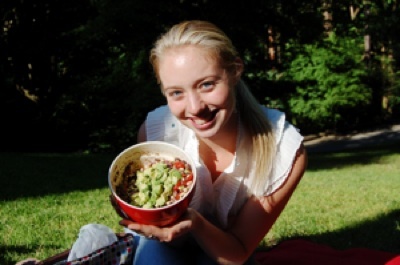 While it’s fun to taste new foods – and believe me, I could do that all day! – there are times when you just crave a taste of what is familiar to you. You don’t necessarily have to crave your mom’s meatloaf or your favorite restaurant’s strawberry flambe. It could be something as simple as a peanut butter and jelly sandwich, a slice of Tillamook cheddar or even ranch flavored Doritos. 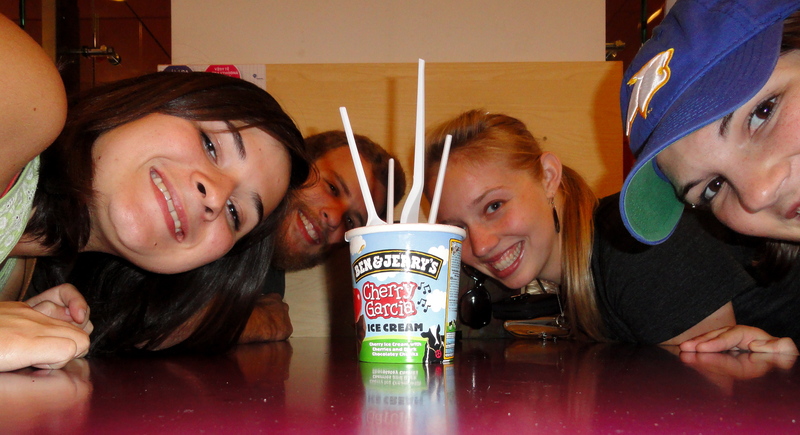 At the end of my time in Czech this summer, when we were at the train station in Prague, we treated ourselves to a pint of Ben & Jerry’s Cherry Garcia ice cream. We could have opted for a traditional Czech dessert – a poppy seed kolache or Milka chocolate bar – but in truth, a spoonful of creamy, chocolatey, cherry studded ice cream sounded better. Sometimes, you just need that bite to take you back home, even when you’re 4,000 miles away from home. Don’t be ashamed when you need that bit of comfort. It’s a taste of your home – go ahead, crave it!